A charmed stay and a journey into the past. 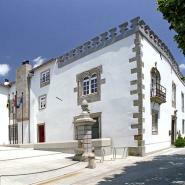 Enveloped in history and the seductive landscapes of sea, river and mountain that are characteristic of Viana do Castelo, the Casa Melo Alvim is the most ancient manor house in the city and is today a charming and welcoming hotel. Dating from 1509, this house has welcomed several additions along the centuries that have enriched its architectural heritage. Three years of restoration have allowed this wealth to be preserved so it may now be enjoyed by the guests as they journey through the Manuelino, Chão, Barroque, Rococo and Romantic styles of Portuguese architecture. The choice of furnishings also allows contact with different styles like D. Maria, D. José or D. João V, especially in the rooms and suites. These are all different and with accentuated period decor. The chef suggests dishes where he combines the best regional products with creative manners of presentation, and as a complement to the meals a visit to the bar for a nightcap accompanied by piano music is suggested. The small garden and cloisters invite you to rest or read in surroundings of complete tranquillity. To complete your stay, the Casa Melo Alvim has prepared a series of suggestions for jaunts into town and the neighbouring region and can also provide bicycles and even a basket for delicious picnics by the sea or in the mountain. - Late check-out until 14h00 (subject to availability). From Lisbon: Take the highway A1 to Oporto. From Oporto: Take the highway A28/IC1 to Viana do Castelo / Valença and turn on the first exit after the Lima River bridge to enter in Viana do Castelo. In Viana do Castelo: Follow the directions to the city center to find the hotel at the top of Avenida dos Combatentes da Grande Guerra, near the train station. "The staff was very caring and attentive at this hotel with amazing style and atmosphere. The food is excellent." "An ancient urban house with great style in lovely Viana, the perfect combination of old and new." "I was very impressed by the whole: the service, cleanliness. Attention to the tiniest detail was present in everything." "A pleasant and comfortable palatial house and great food."